A rare meet on the Northern. 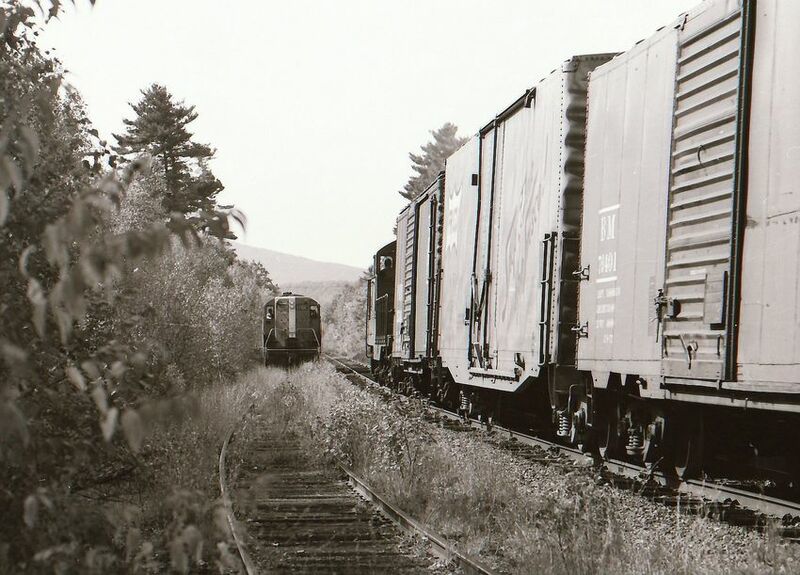 On left is BM 1702 with only a caboose southbound on passing siding. On the Main is Y-5 local northbound.